The commission heading up the national inquiry into missing and murdered Indigenous women and girls has received a failing grade so far, according to the second report card issued by the Native Women’s Association of Canada. The commission heading up the national inquiry into missing and murdered Indigenous women and girls has received a failing grade so far, according to the second report card issued by the Native Women's Association of Canada. "If I was a parent getting this type of report card that has so many fails, the first thing I would do is use my voice and say something — express my concerns to the teacher, express my concerns to the student and make a plan about how are we going to work together to succeed," said NWAC president Francyne Joe. The NWAC report card outlines 15 commitments for the commission on how well the inquiry is meeting its directives and mandates as it progresses, using a colour-coded grading system: green for pass, yellow for action required, red for fail and grey for insufficient information. Ten were given the red grade for fail. "I think the biggest area that we are concerned about, and we have been saying this a number of times, is the lack of communication with the families," Joe said. "We have been advocating since the start that this inquiry needs to put families first and it's not doing that." Three were classified as yellow and two were grey. The $53.8-million independent inquiry, led by five commissioners, is expected to submit an interim report Nov. 1, 2017, and a final report by the end of 2018. The inquiry also got low grades when NWAC released its first report card in January, with all the commitments classified as yellows or greys, also pointing to not enough communication with the affected family members. Joe said the situation has deteriorated since then. "We have been dealing with families who are feeling frustrated, angry and disengaged," she said. Last week, it was announced that the inquiry would hold three days of family hearings in Whitehorse at the end of May, but after that the commissioners won't hear from families in other parts of the country until the fall. Instead, the inquiry will spend the summer hearing from experts on violence against women. "I'm really concerned that if the commissioners don't have a proper [meetings] where they can answer the questions from the families, they are not going to have the same amount of trust and the relationships they need to make this inquiry a success," Joe said. On Monday, a number of prominent Indigenous leaders and grassroots activists sent a letter to the inquiry's chief commissioner, former B.C. judge Marion Buller, demanding a rethink of the entire inquiry and pointing to concerns about delays and poor organization. "We are deeply concerned with the continued lack of communication that is causing anxiety, frustration and confusion, and with disappointment in this long-awaited process," read the letter, whose signatories include more than 50 people and organizations. Families have also voiced their concerns they are being left in the dark and some are now uncertain if they should take part. 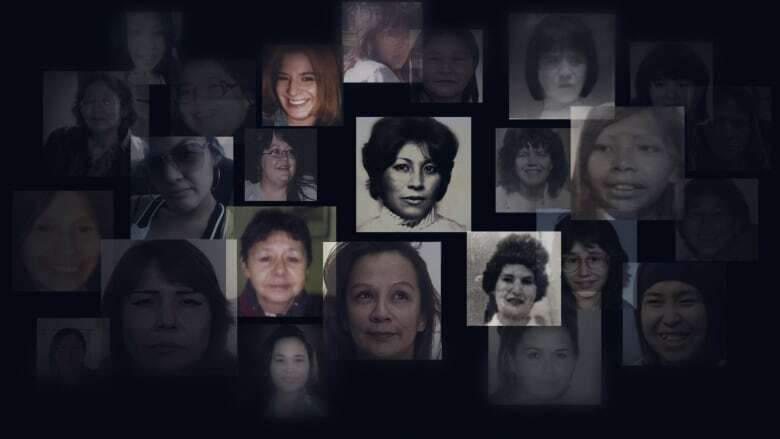 Representatives of the Manitoba Missing and Murdered Indigenous Women Coalition met over the weekend and raised concerns about the inquiry process and how families and survivors are being treated. NWAC's report card gave the commission a failing grade for developing and adhering to timelines saying they are necessary to building trust. It said as the inquiry progressed "milestone dates went unannounced and regular progress reports were not released." The report card also criticized the decision to hire legal and research teams while communications, community relations and health teams remained incomplete and understaffed. The inquiry's director of communications, Michael Hutchinson, was let go after only a few months and Sue Montgomery, senior communications adviser, has resigned and will be leaving as of June 2. The commission also received a failing grade when it came to setting up a process that is trauma-informed and respectful to the individuals, families and communities involved. The report said initial emails to the inquiry were responded to by members of the legal team instead of trained counsellors and crisis workers, signaling that it was "much more of a legalized process than was originally advocated for." "It's really disappointing when instead of having a family first approach, the approach that the inquiry seems to be taking in dealing with the families is much more of a legal, colonistic approach," Joe said. NWAC also gave the commission a failing grade because there was no information on any formal regional advisory bodies to give direction on issues specific to regions. The report said there were some regional advisory meetings but they were not made public and there was confusion over whether it was invite only, several other advisory meetings were postponed indefinitely in April. Joe said the failing grades can still be turned around. "There is still enough time, I think, to make this inquiry something that we can be proud of as Indigenous people and as Canadians, where we can save more Indigenous women's lives and be proud of the work that we are doing," she said. She said there needs to be better communication right away to regain the trust of the families impacted and an open strategy so people know what to expect. "I am hoping that maybe by this fall we will see fewer reds in the report card and maybe a bit of yellow," she said. "I'm hoping that the commissioners will start communicating properly with families so that the families can expect regular announcements from the commissioners as well as a strategy put on the website so that they, the families, understand when the commissioners are going to be in their communities." The report card is intended to help the inquiry get back on track, Joe said. "We are trying still to be supportive of this whole inquiry we are just asking that families please be patient with this inquiry as it progresses," she said. "And we are asking for the commissioners and the staff of the inquiry to take this on as a further challenge and grow with it and learn from it."